“Feufollet” by definition, is a will-o’-the-wisp, the crazy-looking ball of fire that can be produced by marsh gases. 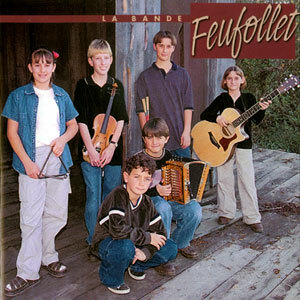 This fiery band is made up mostly of a group of ultra talented French immersion students from schools around Acadiana. Their first CD, released in 1999 was an instant hit in Louisiana, and after performing at the Montreal Jazz Festival, they quickly won the hearts of many Canadians as well. Band members include Brittany Polaski, Christopher Stafford, Chris Segura, Ashley Hayes, Josh Hebert, and Michael Stafford.